Keito is 15-year old girl with dark green hair. She is the class representative of Takuto's class. She reproaches Kanako for teasing Takuto during the lesson. She is also the president of Southern Cross High School Science club and often does experiments, sometimes using students as lab rats, as seen with Tiger. She is the leader of third division of Crux Brigade, Bouganveila. Her alias is Ivrogne. 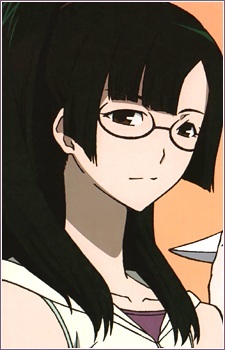 She was childhood friend of Wako and Sugata. They also once built a totem pole in the past. She is the east maiden of the island. It is later revealed that Keito has been in love with Sugata since they were kids.